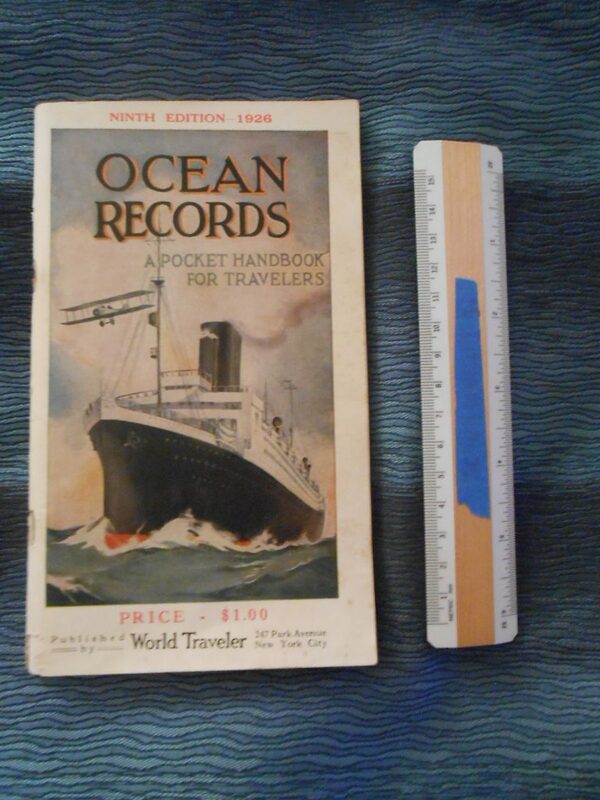 Interesting booklet covers almost every shipping line and route on the globe in 1926. Of course, the North Atlantic route garners the lion’s share of attention. The Leviathan is listed as the largest ship of course .. Mauretania the fastest. Includes a wonderful ship flag/ funnel identification graphic. Excellent condition!